Properties in NatureWalk at Seagrove average 4.9 out of 5 stars. New home in Naturewalk with four bedrooms and 3 bikes! Property 1: New home in Naturewalk with four bedrooms and 3 bikes! NEW! SALTWATER SIESTA LUXURY BREATHTAKING BEAUTIFUL NATUREWALK HOME W/8 BIKES! Property 3: NEW! SALTWATER SIESTA LUXURY BREATHTAKING BEAUTIFUL NATUREWALK HOME W/8 BIKES! 4BR in NatureWalk Casa Boom sleeps 12 & Includes 2 Bikes! Property 5: 4BR in NatureWalk Casa Boom sleeps 12 & Includes 2 Bikes! 4 Bdr 4 Private Baths! Corner Lot,2 Living Areas,Near Beach,Watercolor,Seaside! Property 10: 4 Bdr 4 Private Baths! Corner Lot,2 Living Areas,Near Beach,Watercolor,Seaside! Corner Lot,Close to Pools,4 Free Bikes,Near Beach,Seaside,Watercolor! Property 13: Corner Lot,Close to Pools,4 Free Bikes,Near Beach,Seaside,Watercolor! 4 Bdr, 2 Living Areas, Next to Pools! Near Watercolor,Seaside & Beach! Property 28: 4 Bdr, 2 Living Areas, Next to Pools! Near Watercolor,Seaside & Beach! Street Legal Cart,3 Kings Plus Bunks,Near Watercolor,Seaside & Beach! Property 34: Street Legal Cart,3 Kings Plus Bunks,Near Watercolor,Seaside & Beach! Cole Beck's Cove - Seagrove Beach! 30A! Community Pool! Hot Tub! Beach Tram! Property 35: Cole Beck's Cove - Seagrove Beach! 30A! Community Pool! Hot Tub! Beach Tram! Beautiful Home,Street Legal Cart,1st Flr King,Near Beach,Watercolor,Seaside! Property 42: Beautiful Home,Street Legal Cart,1st Flr King,Near Beach,Watercolor,Seaside! 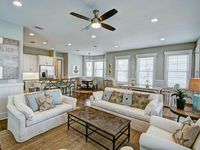 In Nature Walk "Pine Shore" NEW 4BR Oasis with Private Fire Pit! Property 43: In Nature Walk "Pine Shore" NEW 4BR Oasis with Private Fire Pit! 15% Off July 7-14th!! You Won't Want to Leave this Artsy 3BR Cottage! Bikes Incl, Near Pools! Property 47: 15% Off July 7-14th!! You Won't Want to Leave this Artsy 3BR Cottage! Bikes Incl, Near Pools! SeaPines in NatureWalk 30A Brand New! 10% Off March! 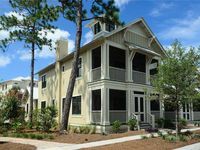 Property 49: SeaPines in NatureWalk 30A Brand New! 10% Off March! This is our second time staying here. Great house, clean, lots of room for our family, love the volleyball court in the backyard, golf cart to take us to and from the pool, etc. We willl totally stay here again! House was beautiful!! Had everything we needed. Someone came and aired up our bike tires. And they provided all the beach stuff we forgot to pack. Chairs/toys/ etc. Pool was awesome and the bike ride to the beach wasn't bad at all. Faster then driving there for sure.